So this used to be Max's room. And like how it turned out...and we really like that it is done. It took us a year to finally put the finishing touches on it but we had fun working together. 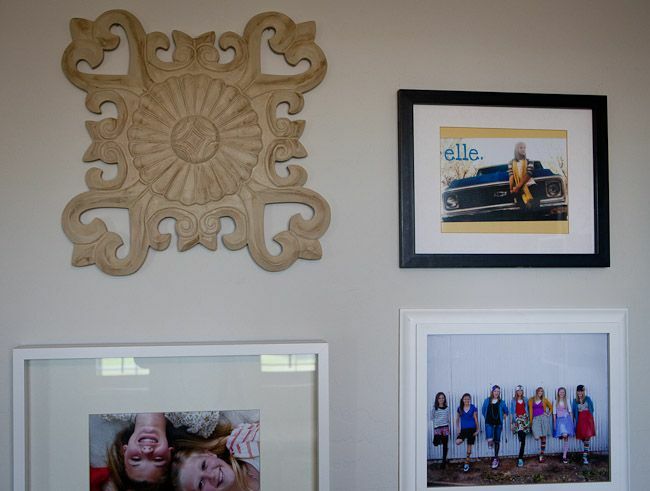 Probably Elle's biggest opinion is that she wanted to do a collage of pictures on the wall beside her bed: My opinion was to do it on a different wall but man alive was she ever right. When will I learn I should always listen to my daughter? The other frames are collected from craft stores (those ones have been painted over and over to go in different rooms in our house), Aaron Brothers and IKEA. These wall boxes are from IKEA and the branch thing is half from West Elm and half from a branch I found in an empty lot Dave and I were looking at (I just put the two together). 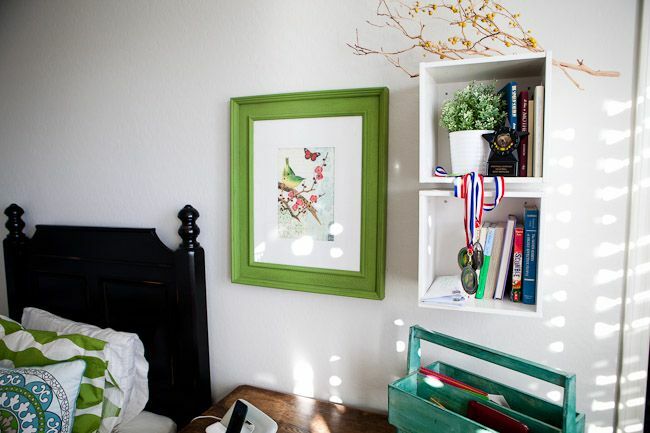 The box crate thing on the desk is from an antique store and the frame is just a random one we re-painted with a print from an old Anthropologie calendar framed inside. And the desk is from an antique store: We had planned on painting it, but we ended up really liking the extra softness and variation it brought with it's "0ld-ness." (The white boxes inside are from IKEA and cushions from TJ Maxx I think.) I love that she has a place to keep her "stuff" in there. 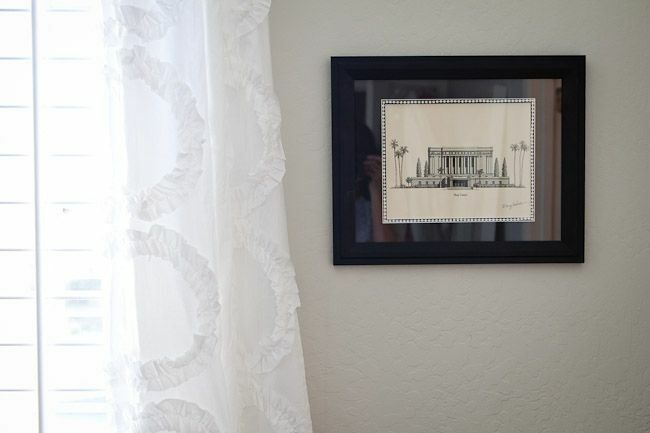 My friends in the Stake Primary Presidency gave me that print of the temple when I got "transferred" to Young Women. Elle took it over. I love graphic drawings like that. That big, huge mirror is from IKEA. We bought that dark gray quilt thing and the green and white graphic-design duvet cover from IKEA and the throw pillows from Target. Oh, and the paint color is same as Max's (Dunn Edwards "Foggy Day"). There we go. One more room transformation down. I am in love with that room!! Good job!! 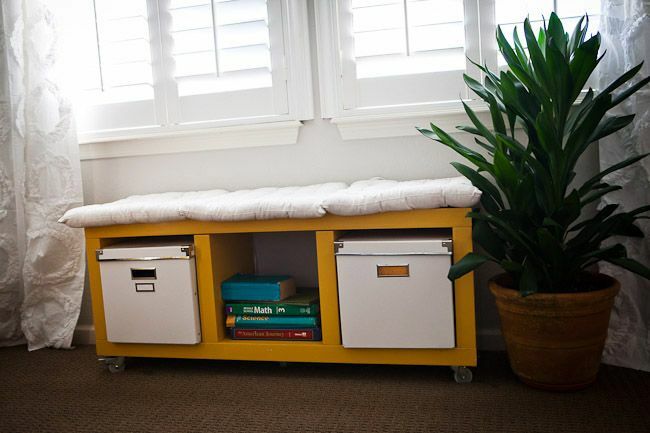 I need to get that yellow storage box from Ikea!! Love it! 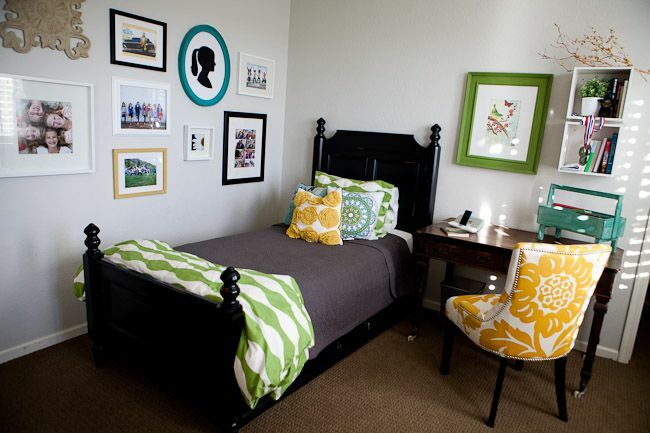 Love the chair and the bedding, well everything really! So cute! We just found out we are adopting another baby boy and I am inspired to do gray and yellow in his nursery. It might be girly, but I don't care, I love. It all looks absolutely perfect! Elle is a lucky girl. 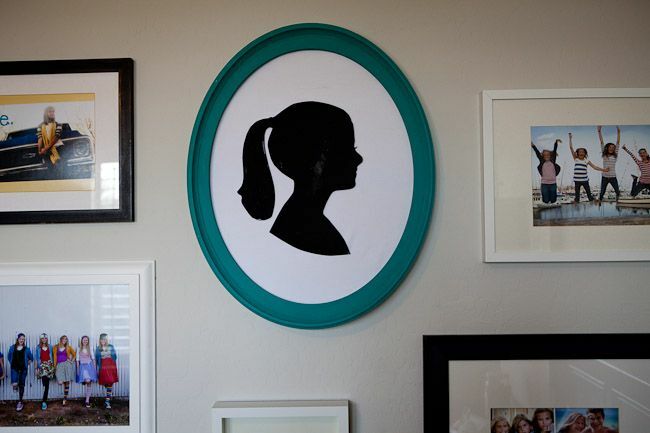 I love the silhouettes...Definitely going to have to try that out! so cute! I love all the colors! Loved seeing Elle's room!! Beautiful bright colors. 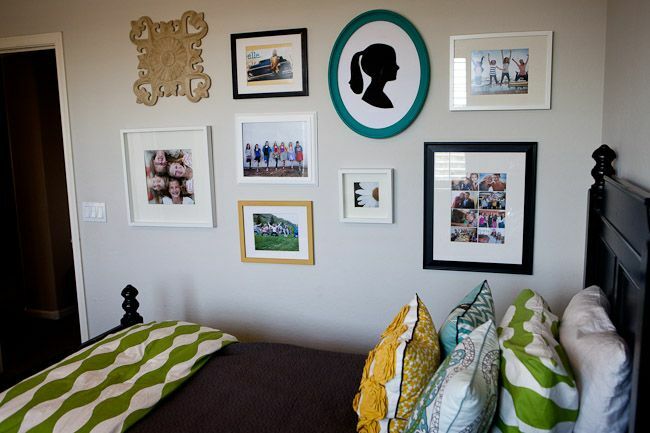 I LOVE the picture collages by her bed! 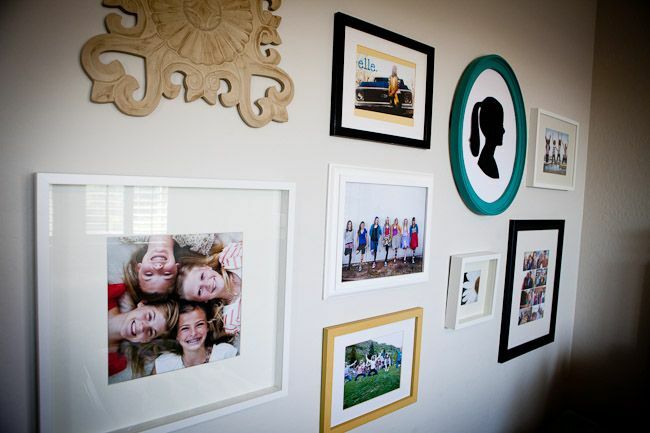 I want to start right away on my 11 year old daughter's room! Thanks!! wow, it looks so great i love all the different prints, textures and colours, it looks so great together!!! I LOVE both Elle's and Max's new rooms! Both of their rooms look so stylish, organized and clean! I'm always surprised to read where you got everything because it looks like you spent a fortune and got all those things at Anthropologie or other expensive places - but places like IKEA and Target have affordable prices. I'm impressed! 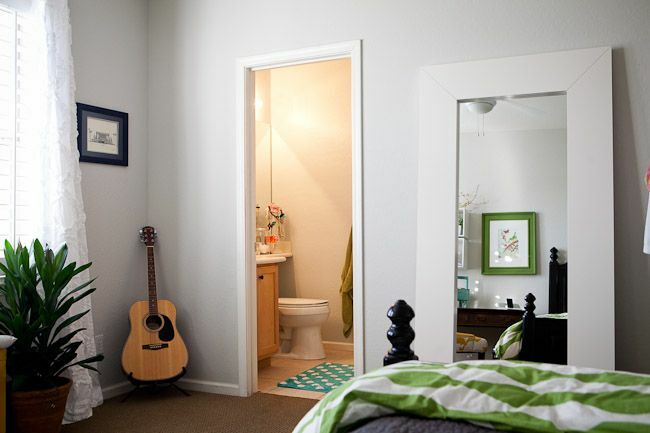 Do all your kids have their own bathrooms? Do you update/decorate their bathrooms as well? 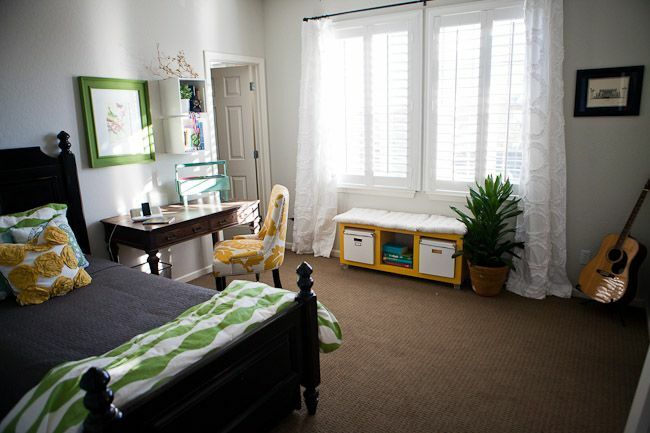 How often do you update your kid's rooms? 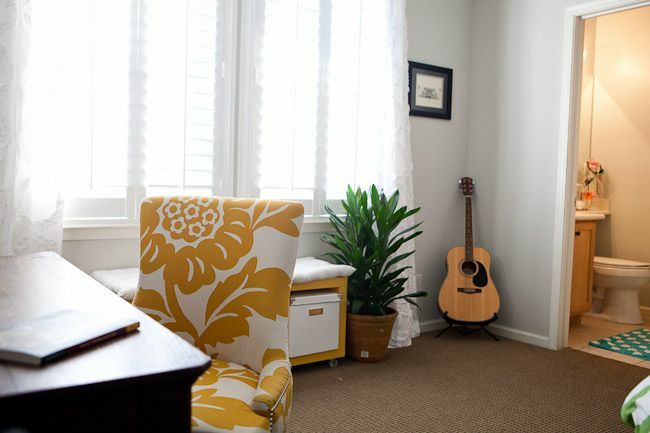 How often do you update the other rooms in your house? How do you keep down on clutter? Do you have an annual garage sale? Or do you regularly take clothes and toys to some place like Salvation Army to donate? If so, is it hard for some of your kids to give up certain things? Do you keep a few toys for each child from their childhood for when they are older? 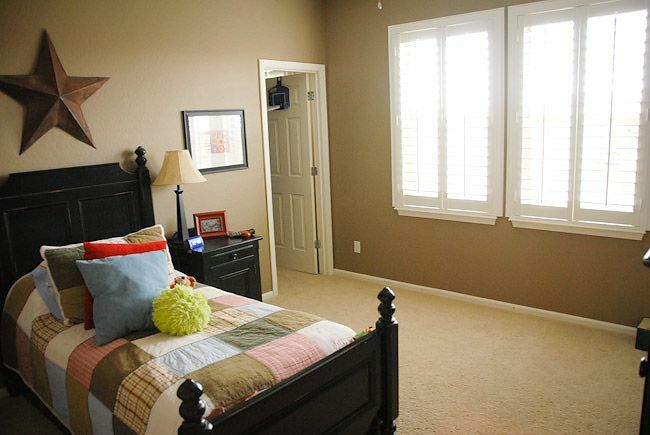 Is everything that each child owns all in their bedroom? Or do they have like winter clothes or things in storage/storage boxes somewhere? 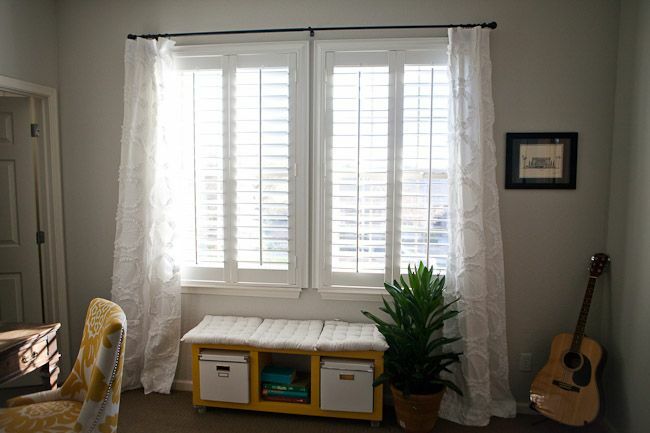 I'm all about updating homes/rooms, de-cluttering and living a simple life. Less is more. It's so refreshing to see someone else who values that as well. I've been in so many homes where people are pack rats and can't throw anything away. Their homes look like they haven't changed since the 60's/70's/80's. 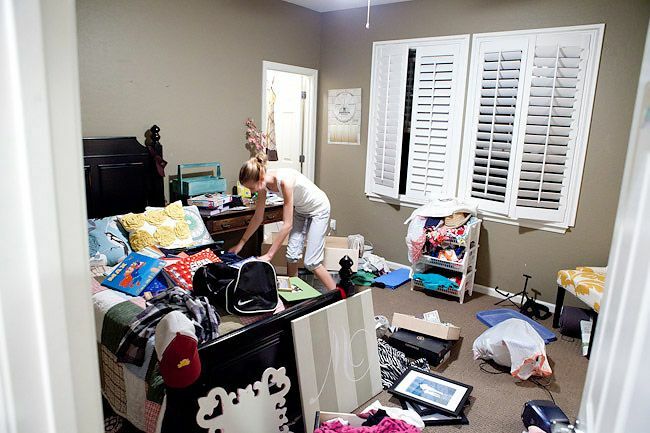 Places that are full of clutter just feel dirty and disorganized. I don't want to seem critical of others....the people I have visited are good people and I'm sure they mean well - they just don't know how to throw things away and update their homes. I'm just really sensitive to my surroundings and don't think I could ever live that kind of life style or function in a place that has so much clutter and disorder. Oh my gosh - it's beautiful! I love how calm but cheery it is! 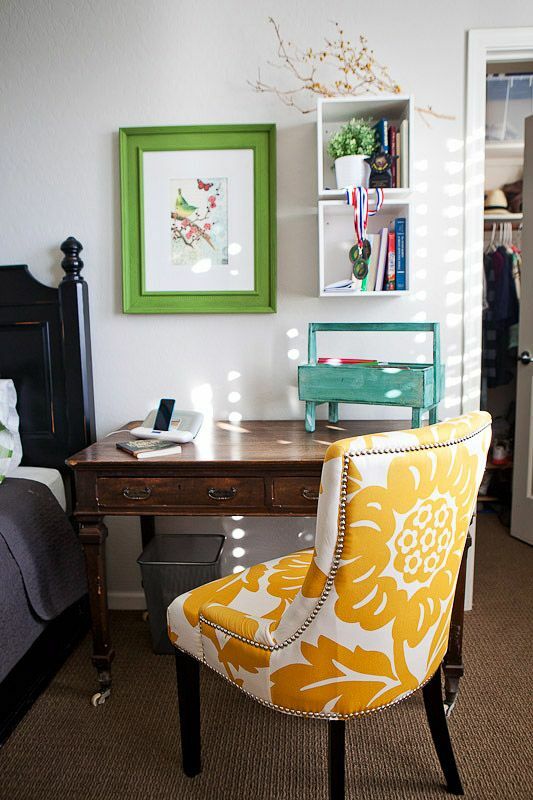 Great colours and that chair...wow - love that! it looks so great shawn and elle, good job. can't wait to see it in real life. elle and i chose the same colors for our rooms - yellow and green. love you two so much! Would love to see you answer the questions Brittany B asked. I think she was reading my mind. I hate clutter and my word for the year is Simplify! So would love to here your answers. Love the bright cheery feel. Great job! @ Gina - If your word for the year is "simplify," I would recommend the book, "Simple Abundance" by Sarah Breathnach. It's one of my favorite books! There are some quirky entries here and there (it was written in 1995). But overall I love the philosophy behind Simple Abundance - it's a timeless message for women and it's the motto for my life. So cute I love it! It totally fits her fun bubbly personality! I've had such a hard time with choosing a grey for my living room. I've had 5 different paint colors (shades of gray) splotched up on my walls for 2 months now :( I had gone down to dunn edwards before you ever posted and went through their grays and now I feel i must go back and check out foggy day because the color i ended up with from them has a slight brown undertone and its just not what i was looking for. enough rambling... you did well, I love it!